For all corporate orders please email us at corporate@theatregiftvouchers.co.uk with your specific requirements. Our corporate department will reply within 1 hour with details of the discount we can offer your organisation. If you wish to discuss your requirement by telephone, please email your contact details and we will arrange for a member of the corporate team to contact you. Tokens that never expire, making them ideal for bulk purchases, so your staff or customers can use them whenever they wish. They come in any denominations pre-loaded onto our handy gift card and can be exchanged for tickets at over 240 theatres across the UK including all of London’s West End. For orders of Theatre Tokens exceeding £5000, please email our corporate team. These fantastic package includes two top price tickets to the best shows that the West End has to offer, and a wonderful two course meal. Choose from one of a selection of fabulous shows including the spectacular, high octane Thriller - Live, the heart wrenching Blood Brothers and the spine chilling thriller Woman in Black. For orders of 10 or more Deluxe Theatre Visit with Dinner for Two Vouchers, please email our corporate team. 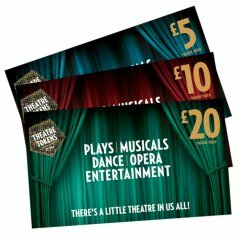 Superbreak Vouchers are the most versatile vouchers for Theatre Breaks, they offer the widest range of shows and hotels. But not only that ... Hotel Breaks Event Breaks, Concert and Sporting Event Breaks all packaged with a hotel stay are available when you redeem these fantastic vouchers. 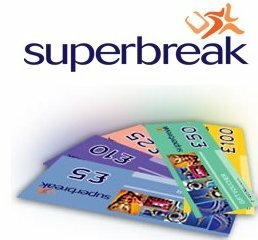 For orders of £3000 or more Superbreak Vouchers please email our corporate team.